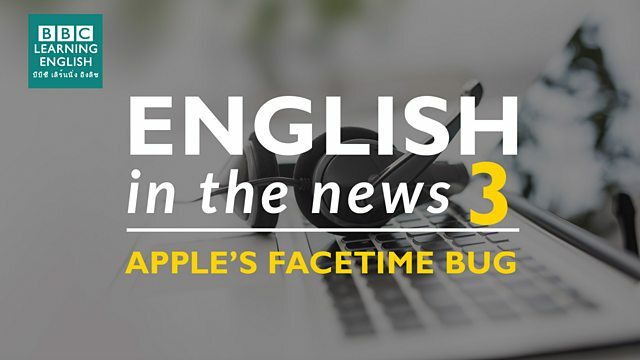 Why is Apple in a rush to fix a FaceTime bug? Join Sam and Clare to learn more about this news story and to learn vocabulary to talk about spying on others. Which verb means to 'secretly watch'? Our neighbour is so nosy! She always ______ on us from her bedroom window. I can see her hiding behind the curtains! Which verb means to 'secretly try to find information about someone'? My sister tried to ______ on me when we were teenagers. She was in my room, looking for my diary but I caught her! It's the same for all three verbs, and is only two letters. In a sentence, which preposition do we use after 'to eavesdrop', 'to spy' and 'to snoop'? Be careful that it's describing a noun. In which sentence is 'eavesdropping' an adjective?